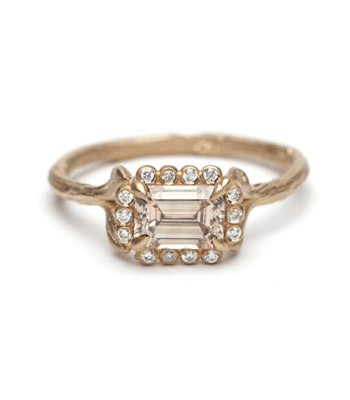 While an Emerald cut center stone is not the traditional look for an engagement ring, non-traditional engagement rings seem to be making news more frequently. 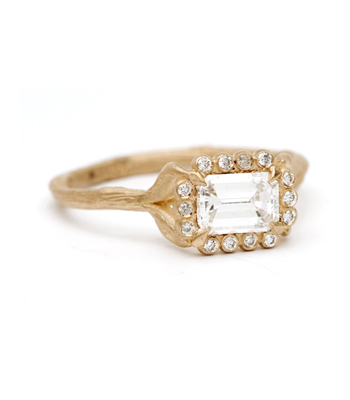 Many consumers admire the traditional outlines and understated elegance of an emerald cut diamond. 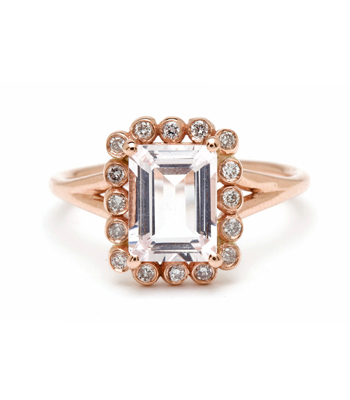 The emerald cut is a type of step-cut diamond, and is the most popular in that category. 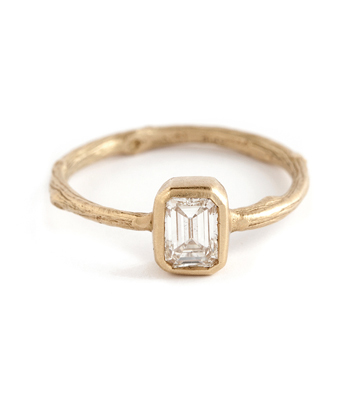 The emerald cut’s four longer sides have beveled corners with two, three, or four concentric rows of facets, parallel to the girdle, on the crown and pavilion. Emerald cuts do not hide imperfections well due to the long step cuts, so inclusions become more obvious in lower clarity diamonds. 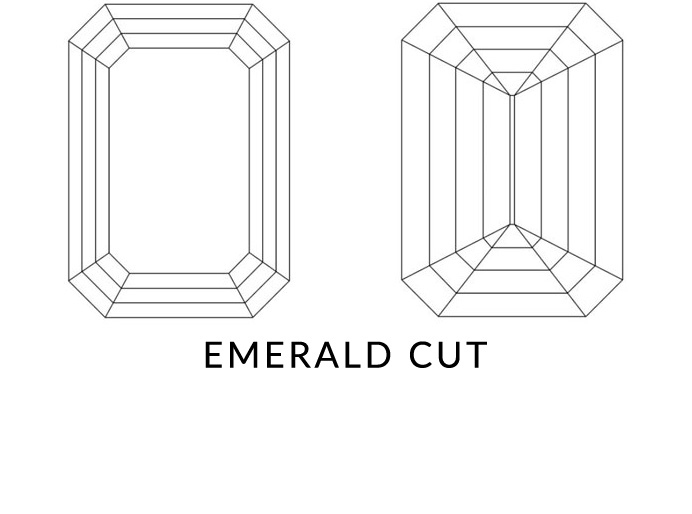 Emerald cuts can have 49 facets or more, yet are less scintillating due to the step cut style of faceting. Since lots of scintillation masks inferior color, this type of facet pattern with its lower scintillation seems to emphasize inferior color.